Cities Connection Project | FARM CATTORI. GIUBIASCO. As a result of the Swiss AlpTransit Railway Project in can- ton Ticino Switzerland, the family-owned Cattori com- mercial Farm was considered eminent domain. The farm is located near the A2 Bellinzona-South freeway exit. To continue its farming activities in the Ticino area, the Cattori family acquired land on which a recently defunct agricultural entity had been operating. A survey of the existing site and its buildings determined the need for a complete demolition and reconstruction. 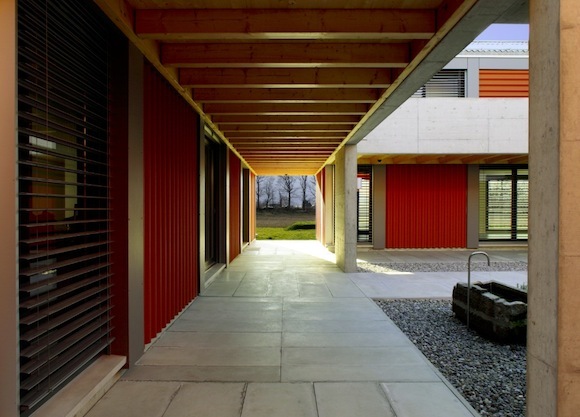 The project concept provide for the design and construc- tion of four rectangles disposed buildings surrounding a main courtyard, and connected by porticos that provide for visual perspectives of the outlying countryside. 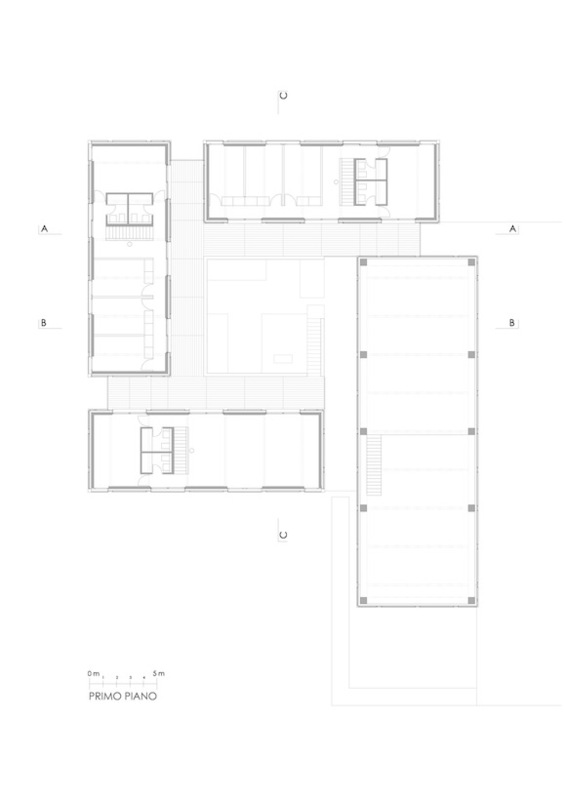 A compact unit, the volumes integrate into the orthogonal structure and geography of the region’s Magadino Plain, once a marsh land, and reminds one of the typical farm- houses found in the nearby Po Valley of Italy. The smaller of the buildings, three, are used for the living areas of the extended Cattori family as well as the farm- hands’ living quarters. The largest building, opening on a big square leading towards the greenhouses, is used as a storage barn for the farm’s agricultural machinery. The facades’ modular and sectional structure, covered by undulated panels that alternate with smooth surfaced Eternit panels, intentionally recall the traditional brick topology and construction used in Northern Italian farms. In the adjacent greenhouses that comprise a total surface area of 20,000 square meters, several tomatoes varieties are cultivated using advanced hydroponic technics. The farm’s wastewater generated by all domestic activity and from the greenhouses is treated using advanced and sus- tainable plant filtration treatment methods.